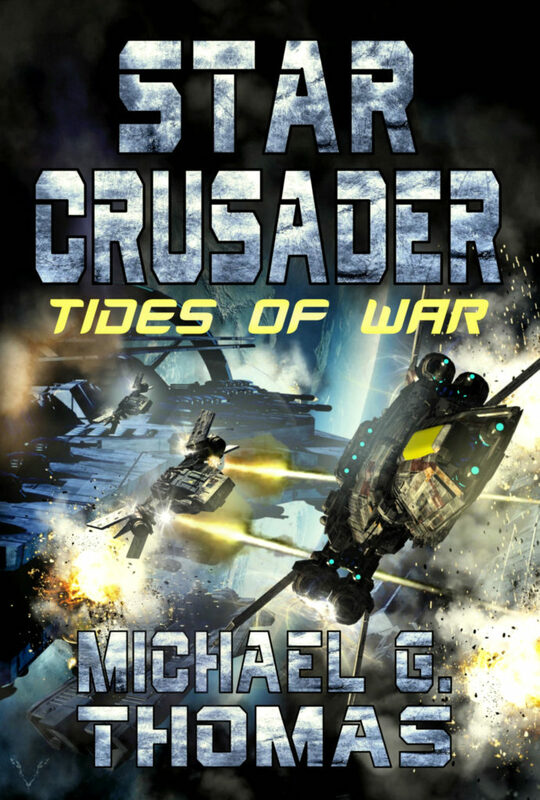 The tenth book in the thrilling Star Crusader series is here. Star Crusader is an epic series set following the devastation of the Nexus War, that follows the adventures of a group of elite videogamers who rise through the ranks to become fighter pilots. The invasion of the Centauri Rim has begun, and Knighthawk Squadron leads the way. They fight in both the real and virtual worlds, where they use their unique skills to throw the enemy off balance. This last battle will be fought against the mighty stronghold of the separatists, an impregnable fortress hidden inside the Rim known simply as The Rock. And in their path lies a vast array of warships, pirate vessels, thousands of soldiers and a secretive leader who promises a future freed of alien influence. A grim future where Humanity can realise its destiny as masters of the known universe. What should be the final battle of the war threatens to spread the conflict to encompass every corner of the Alliance. As the crisis reaches its inevitable climax, the Knighthawks discover a dark secret. A secret that could bring the Alliance to its knees, even in its moment of ultimate victory. Posted in BOOK NEWS and tagged star legions. ← VALENTINE – OUT NOW!